Stormtrooper Nails by the Horrible Housewife. I will be flying out to Los Angeles in just a week to celebrate all things Star Wars on May 4th! So, I thought this would be a perfect time to round-up some of my favorite Star Wars inspired nails I've been seeing floating around Pinterest lately. 1.) Stormtrooper Nail Art by the Horrible Housewife. 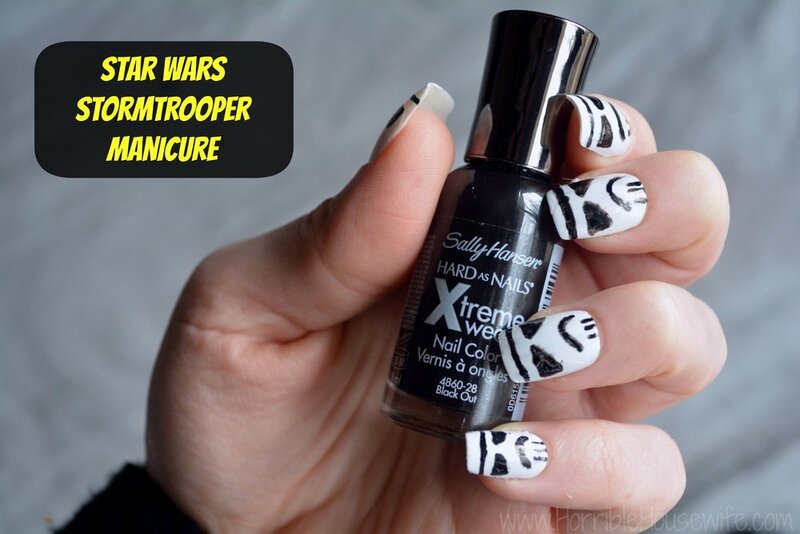 She had an entire Star Wars Nail Art party to celebrate where she featured 4 different Star Wars inspired designs– each with it's own video tutorial! 2.) 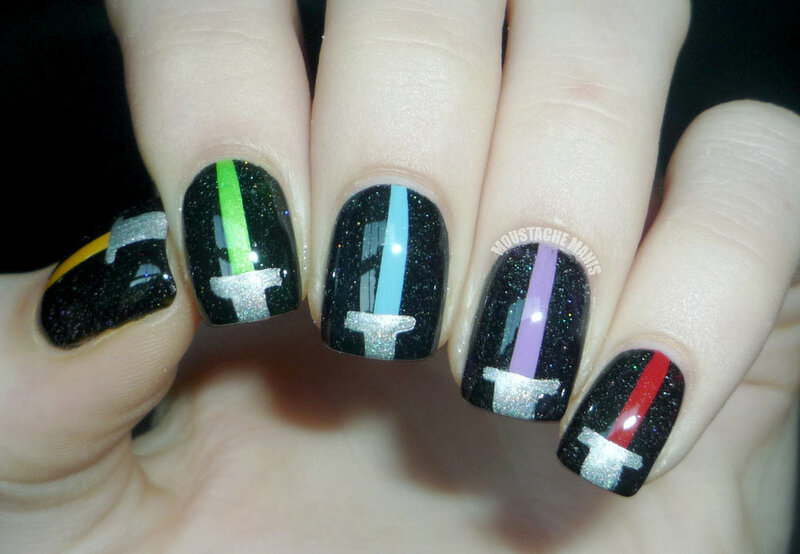 These Lightsaber nails were created by Moustache Manis. I love the contrast of the different lightsaber colors against the black galaxy base. She tells you what polishes she used to create this look, so I will definitely be trying it this summer. 3.) 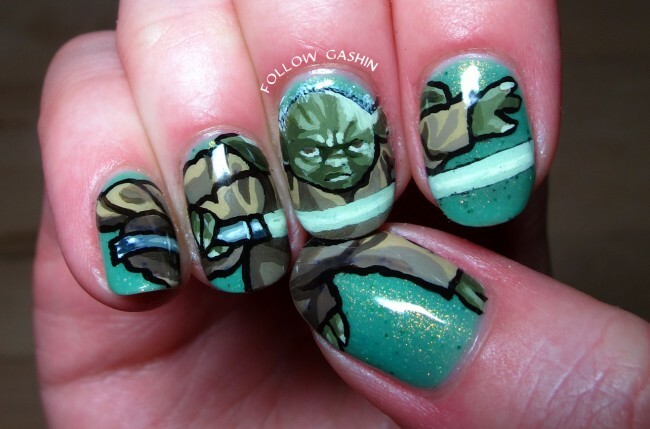 Yoda is one of my favorite Star Wars characters, so I was really excited to find these Yoda nails by the talented Follow Gashin. I can't imagine how long it took it her to do this! It's amazing. on More Nail Polish. I love the 3D effect used to create this look. 5.) 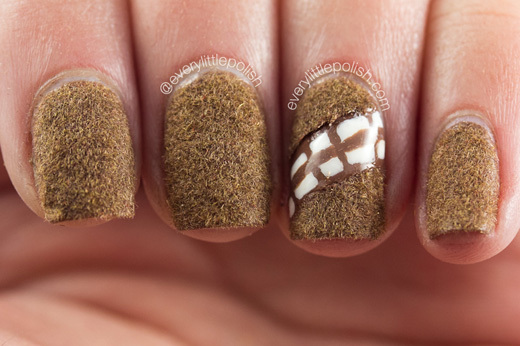 Flight of Whimsy featured these C3PO nails on her blog earlier this year and she did an awesome job! I love the sheen of the gold nail polish she used to create this look, it gives it a nice robotic finish. 6.) 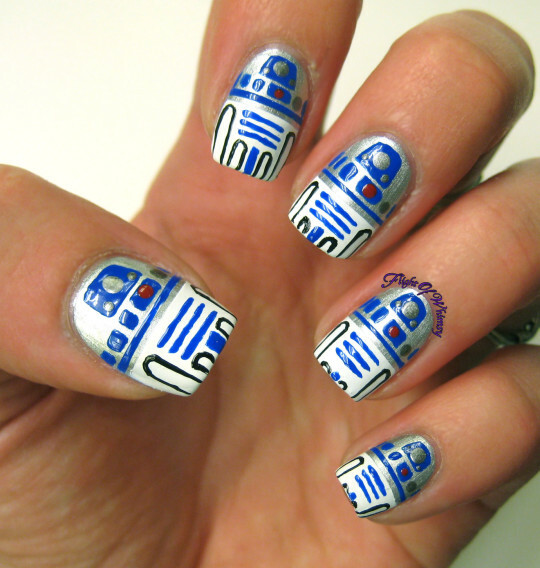 Also by Flight of Whimsy, these amazing R2D2 nails! I love the little details she created for this look and the contrast of the blue against both the white and gray nail polish bases she used. So cool. 7.) Last but certainly not least, these gorgeous Darth Vader galaxy nails by Makeup Withdrawal. I love that she did a black base with a glittery polish on top to create the feel of the galaxy and then accented her ring finger with Darth Vader– she did an amazing job! Liked these nails? Pin it! 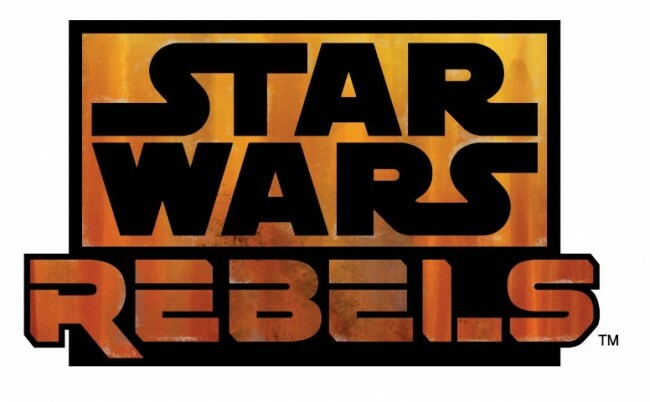 On Star Wars Day, I will be watching a sneak peek of the upcoming series "Star Wars Rebels" that is coming to Disney Channel and Disney XD in the Fall! The series takes place 5 years before the Battle of Yavin and 14 years after the foundation of the Empire. 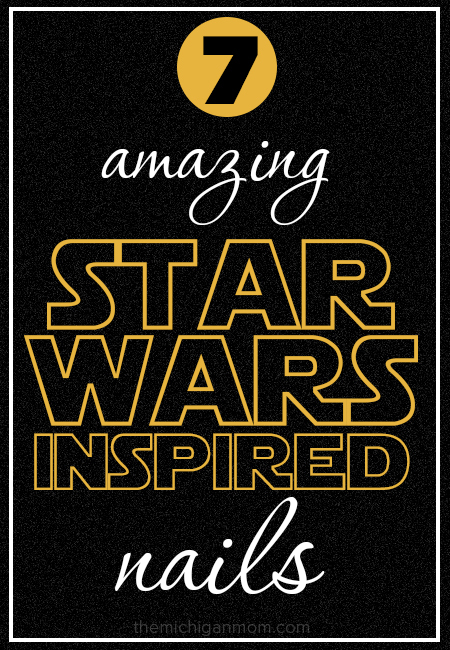 It follows a group of rebels and their struggles against the Galactic Empire. I will be introducing you to the characters of the show in another post, so be on the look for that! Do you love Star Wars? Who is your favorite character? Winter Stole My Soul: 2014 Kia Soul Exclaim!